Made of CNC Machined Aircraft Grade Billet Aluminum. 1 x Aluminum Battery Tie down Bracket Holder. To keep your battery held down securely. Material: Aluminum Alloy. Due to the different display and different light, the picture may not reflect the actual color of the item. Quick Battery Disconnector (Cut off Switch). 1pc x Battery Cut Off Switch. Application: Universal fits all 6v, 12v and 24v batteries of cars, vans, boats, motorcycle. 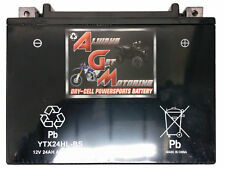 Prevent battery drain when vehicle is not used or in storage. Quick Battery Disconnector (Cut off Switch). 1pc x Battery Cut Off Switch. 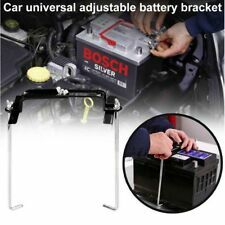 Prevent battery drain when vehicle is not used or in storage. USA, Canada, United Kingdom, Austrilia, France, Germany, Spain, Ireland, Italy, Others. 6G SERIES ALTERNATOR REPAIR KIT. NOTE:FITS ON 6G UNITS ONLY,WILL NOT FIT ON 3G AND 4G. FORD: F8WU-10C359-AB. 97023652, 97027568, 97029986, 97070 343, 97070343. WAI New IN435. XJ6 3200 1994-1997. XJ Sport 4000 1994-1997. XJ Sport 3200 1994-1997. XJS L6 4.0L 3980cc 1995-1996. XJR L6 4.0L 3980cc 1995-1997. XJ6 L6 4.0L 3980cc 1993-1997. 1 x Modified Switch. Suitable for professional racing. USA, Canada, United Kingdom, Austrilia, France, Germany, Spain, Ireland, Italy, Others. Canada, United Kingdom, Austrilia, France, Germany, Spain, Ireland, Italy, Others. Features: Type: Battery Terminal T-Bolt Material: Stainless Steel Screw/Bolt Thread Size: M6 X 2mm Quantity: 2Pcs Fitment: Audi 2006-99 Cadillac 2014-07 Chevrolet 2014-07 GMC 2014-07 Saturn 2010-08 Volkswagen 2006-99 Note: If you have any doubt about the compatibility, please feel free to contact us! Package Included: 2x Bolt 2x Nut 2x Washer (As the pictures show). 1 x Car Battery Isolator Disconnect Cut OFF Power Kill Switch (Red Cover). withstanding current of this battery switch: 24V 400A. Waterproof cover can better protect key hole. High quality for durable use with highly working performance. WAI New IN441. KJ01-18-300, KJ01-18-300A, KL47-18-300, KLK1-18-300. 27060-20010, 27060-20010-84, 27060-20070, 27060-20110, 27060-20110-84, 27060-20120, 27060-20120-84, 27060-20140, 27060-20140-84, 27060-46060, 27060-46060-84, 27060-46120, 27060-46120-84, 27060-46121, 27060-46140, 27060-46180, 27060-46250, 27060-46250-84, 27060-46270, 27060-46270-84, 27060-46300. Downtube Side ID = 1-3/8". - Billet Proof Designs -. FitsMOST Harley Models. Oil Cooler Side ID = 1-1/8". Most Harley Models. • Needed in order to properly mount your oil V-Cooler. 1970's MoPar Battery Tray - Black EDP coated Steel - For the following: 1970-74 Barracuda 1970 Belvedere 1970-74 Challenger 1970-72 Charger 1970-72 Coronet 1971-72 Satellite. This is Ford Part Number AR3Z - 17D957 - AA. 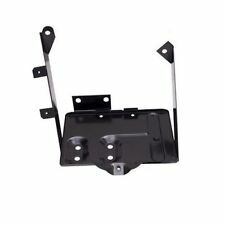 This will fit all 2005 2006 2007 2008 2009 2010 2011 2012 2013 Ford Mustang, 08 09 10 11 Focus. 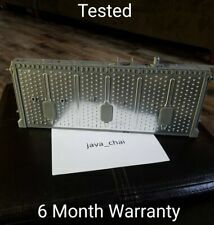 You are ordering a Battery Heat Shield for Various Ford Vehicles. Intended for a Small Case 4 Cell Antigravity Battery. These kits are made by builders who believe that you should work on your own chopper as much as possible! 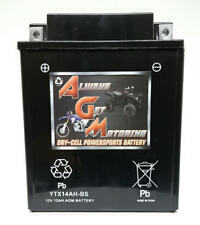 This battery box is intended for use with aSmall Case 4-cell battery (AG401) using a leather belt or a velcro strap to secure the battery to the box itself. This Kubota type ignition switch may suit Dingo K9-3 and K9-4 mini loaders. Includes dust cap and two keys. Kubota type starter switch assy with keys. Kubota starter switch assy with keys for model. Downtube Side ID = 1-1/8". - Billet Proof Designs -. FitsMOST Harley Models. Oil Cooler Side ID = 1-1/8". Most Harley Models. • Needed in order to properly mount your oil V-Cooler. EXACTLY WHAT YOU WILL GET!!!! 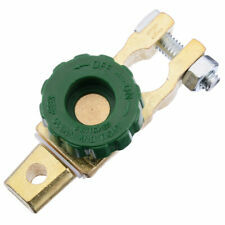 This is a 6 volt regulator. Parts are as shown. 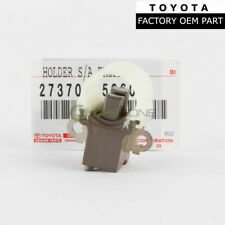 OEM GM #92111003. 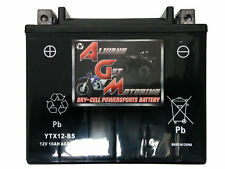 2004-2006 Pontiac GTO Battery Tray. This item was removed from a 2001 Dodge Ram 3500 Quad Cab Dually equipped with a 24 Valve Cummins Turbo Diesel engine and a 47RE transmission. 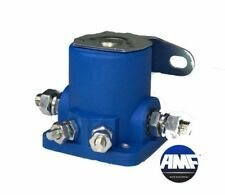 THIS MILITARY SURPLUS ITEM WAS DESIGNED PRIMARILY FOR USE ON NAVY GENERATORS. 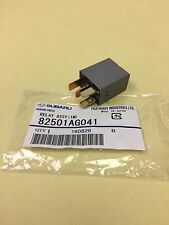 THE PART NUMBER IS 8RC3012A AND THE NSN IS 6110013847081. WU A Generator, 5KW, Tqg, Tactical Quiet Family. WV A Generator, 10KW, Tqg, Tactical Quiet Family. 1979-1986 Mustang. 1974-1978 Mustang II. 1983-1985 Ranger. 1980-1986 Bronco. Part number 701-2177 is also on the label. Instructions and hardware are included in the box. Applications include 1971, 1972, 1973 Mustang and Cougar. 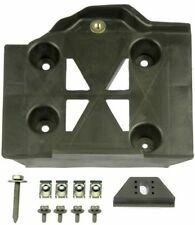 Kit includes a battery hold down clamp, hold down clamp bolts and nuts, battery tray and 4 piece battery tray fastener kit. NOS Delco Remy 1119626 24 Volt Voltage Regulator OEM Tractor Negative Ground. This regulator does have a dent in the top (pictured). It has not been used. The box is in rough shape. Please look this part over before purchasing. What you see is exactly what you will receive. If you have any questions, feel free to email me. Thank you. 7% Iowa sales tax is required to be paid by Iowa residents only. I will send an invoice with the amount due. International shipping is available. Please email me for a quote. International shipping will be paid by the buyer. NOS Standard Motor Products VR-103 Voltage Regulator 1962-1972 Chevrolet Buick. This regulator is 12 volt negative ground. Please look this part over before purchasing. What you see is exactly what you will receive. If you have any questions, feel free to email me. Thank you. 7% Iowa sales tax is required to be paid by Iowa residents only. I will send an invoice with the amount due. International shipping is available. Please email me for a quote. International shipping will be paid by the buyer. This kit includes most parts to relocate the battery in a normal size car. 1 x Plastic Battery Box, With Strap. L300xW210xH205 (plus lid). 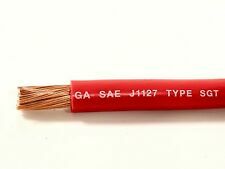 5m x Red Battery Cable 255 Amp. 32mm2 (2 B&S). 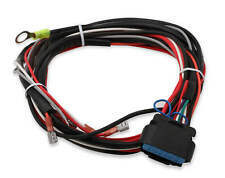 1m x Black Battery Cable 255 Amp. (1) NEW GENUINE OEM FORD BATTERY MOUNTING TRAY ASSEMBLY FOR FORD MUSTANG 2005-2014 AR3Z10732B (AR3Z10732A) WITH BATTERY HOLD-DOWN. GENUINE FORD PART NUMBER: AR3Z-10732-B. Strap to inner fender mounting bolt. Hold down strap/bracket. 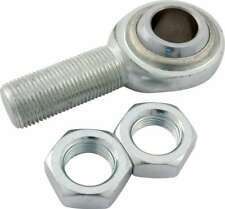 Pair of J bolts. Toyota Carina 1972-1973. Toyota Celica 1971-1976. Toyota Corolla 1971-1976. Toyota Corona 1968-1976. Toyota Corona Mk II 1969-1976. Toyota Crown 1968-1971. Toyota Hilux 1969-1974. Toyota Land Cruiser 1971-1977.